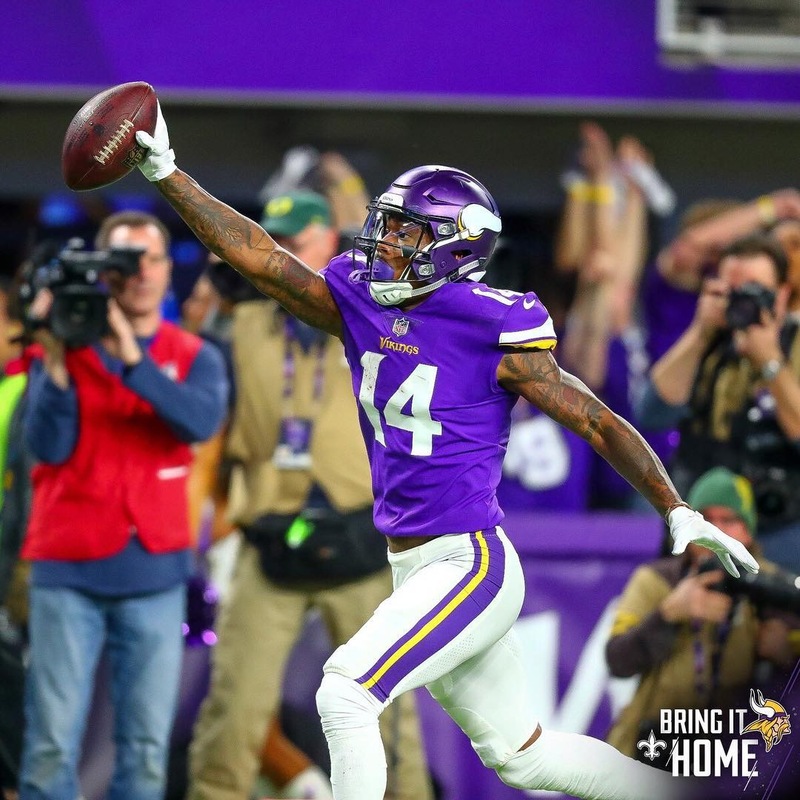 There were four lead changes in the final 3 minutes, but Case Keenum hit Stefon Diggs for a 61 yard TD pass as time expired, for the final change. That was emotionally draining, but a ton of fun. Thanks Diggs. This entry was posted on Monday, January 15th, 2018 at 9:37 AM	and tagged with #bringithome, case keenum, football, Minnesota, photo, stefon diggs, vikings and posted in sports. You can follow any responses to this entry through the RSS 2.0 feed. I only hope their skill and luck do not follow them to Philadelphia. You and I will be standing on opposite sides of the field this Sunday, Pete!